Our recruitment policy ensures a thorough and rigorous vetting process of assessment to verify employment history, residential history, authentication of all professional qualifications and certificates. All staff members have a Criminal Records Bureau (CRB) check before commencing work. This is then updated every 3 years. Our Nursery Nurses are able to excel in their functions as they have been selected solely for their expertise within their own age group niche. 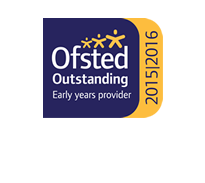 We demand a very high standard and refuse to compromise on quality as this is what we feel each child deserves. An experienced and highly qualified non-teaching Manager and Deputy oversee the Montessori Teachers and support staff. They ensure that the Montessori has a strong foundation in leadership and constant wrap around support for the teachers and nurses working directly with the children. Our staff structure gives each child the best opportunity to thrive and explore their potential. Our Montessori Teachers who lead the rooms from toddler age onwards are skilled interpreters of child behaviour constantly refining their observational skills and understanding of how children develop. Members of our staff team distinguish themselves through their; self belief, passion, commitment, diligence and attention to detail. Our staff are also chosen for their enjoyment in what they do, and so they welcome opportunities for both giving and receiving feedback of their performance. We recognise the importance of a loyal and skilled staff team as we appreciate that children respond well to having a consistent, familiar and special person to care for them in the same way they their mother or father would at home. This is why we adopt a Key Person approach to caring for your child. An appointed Key Person looks after your child all day, every day (unless they are away from work, in which case there is a co-key person, who will also know your child well and can step in). The Key Person is responsible for keeping and updating your child’s developmental records, planning for their individual needs, and ensuring your child is safe, happy and contented.